New York, NY - June 4, 2014 - Attorney General Eric T. Schneiderman announced today that he, along with 43 other State Attorneys General and the District of Columbia, reached a $105 million settlement with GlaxoSmithKlein, LLC (GSK) arising from alleged improper marketing and promotion of the asthma drug Advair and the anti-depressant drugs Paxil and Wellbutrin. New York’s share of the settlement is over $4.1 million. The Attorney General’s settlement relating to Paxil builds on a 2006 New York settlement in which GSK agreed to post summaries of clinical studies and establish and maintain a Clinical Trial Register, an official platform and catalogue for registering clinical trials. In a complaint filed in New York County Supreme Court, Attorney General Schneiderman alleged that GSK engaged in deceptive and misleading practices when it marketed Advair, Paxil, and Wellbutrin for off-label uses and concealed risks associated with Paxil. As a result of the states' investigation, GSK agreed to change its marketing of Advair, Paxil, and Wellbutrin and to cease promoting off-label uses of the drugs, which are not approved by the U.S. Food and Drug Administration (FDA). The Attorney General’s complaint charged, among other things, that GSK promoted Advair for treatment of mild and intermittent asthma even though it was approved by the FDA only for treatment of more serious asthma conditions. GSK promoted Wellbutrin for treatment of weight loss and sexual dysfunction through its “happy, horny, skinny pill,” campaign, even though these were unapproved uses. 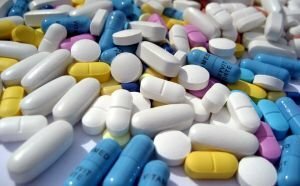 GSK concealed and misrepresented clinical studies that demonstrated Paxil’s ineffectiveness in treating children and adolescents with major depressive disorder, as compared to a placebo group, and that demonstrated a connection between Paxil’s use and an increased risk of suicidal thoughts and acts in adolescents. Disseminating information describing any off-label use of a GSK product, unless such information and materials are consistent with applicable FDA regulations and FDA Guidances for Industry. The Consent Judgment also requires GSK to continue its Patient First Program through March 2019. The Patient First Program reduces financial incentives for sales representatives to engage in deceptive marketing by removing individual sales targets and begins the process of ending direct payments to health care professionals for speaking engagements and attendance at medical conferences. The case was handled by Assistant Attorney General Benjamin J. Lee, Deputy Bureau Chief Laura J. Levine and Bureau Chief Jane M. Azia, all of the Consumer Frauds Bureau. The Consumer Frauds Bureau is part of the Division of Economic Justice, led by Executive Deputy Attorney General for Economic Justice Karla G. Sanchez. The settlement papers can be read here and here. Subject: LongIsland.com - Your Name sent you Article details of "AG Schneiderman Announces Settlement with GlaxoSmithKline to End Deceptive Advertising Practices and Off-Label Promotion of Prescription Drugs"